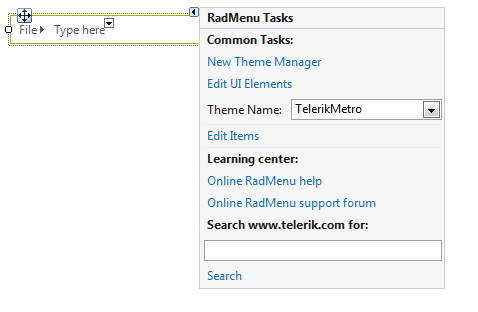 The Smart Tag for RadMenu lets you quickly access common tasks involved with building menus and customizing appearance through themes. Edit UI elements: Opens a dialog that displays the Element Hierarchy Editor. This editor lets you browse all the elements in the control, including the RadMenu itself and the UI elements that make up each menu item. 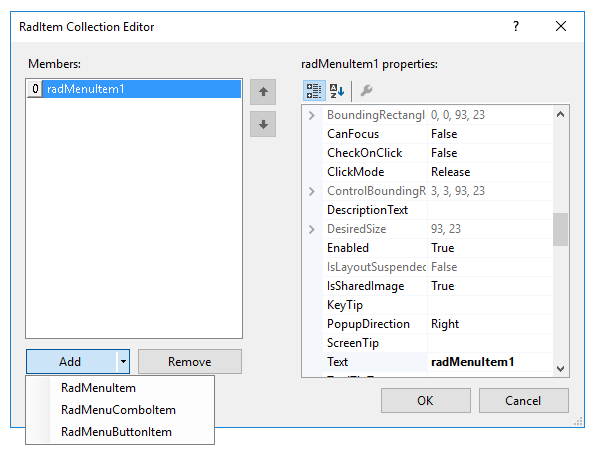 Each individual RadMenuItem within the RadMenu also has a Smart Tag. 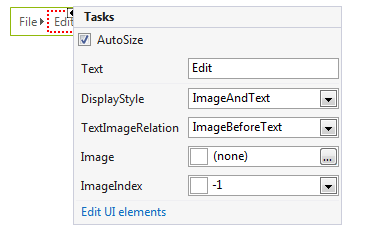 Use this Smart Tag to quickly toggle the AutoSize property, set the Text property, set the Image property and to display the Element Hierarchy Editor for the selected *RadMenuItem8.